Before heading to court or negotiating a divorce settlement, it is essential to understand the timing of alimony payments. You may be ordered to pay temporary alimony while the divorce proceedings are ongoing. After the divorce is finalized, you may be responsible for rehabilitative, compensatory or permanent alimony. Although the other spouse must request alimony during the divorce proceedings, alimony payments ordered in a divorce decree will not begin until the divorce is finalized. After the divorce is finalized and the decree has been entered, you will not be ordered to pay spousal support by a Pennsylvania court. In order to provide necessary support to a spouse while divorce proceedings are in progress, Pennsylvania courts have discretion to award temporary alimony, known as alimony pendente lite. APL is based on the income of each party and does not take either party's fault in causing the divorce, or marital misconduct, into consideration. However, the court may consider other support obligations of either party. In addition, the court may require one spouse to pay for health insurance and divorce litigation expenses of the other spouse. APL only lasts until the divorce is finalized by the court, as APL does not become part of the final divorce decree. Instead, the court may award alimony payments that will begin after the divorce is final. Pennsylvania courts may award alimony to one spouse, meaning the spouse will receive financial support from the other spouse after the divorce decree is entered. In addition to alimony payments, the divorce decree will determine the equitable distribution of property, child support and custody arrangement. 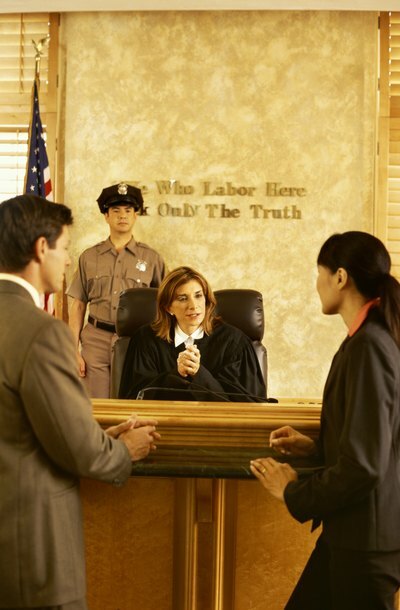 Spouses must request alimony before or during the divorce proceedings. If a spouse waits until after the divorce decree is final to request alimony, she likely will lose the right to receive alimony altogether. If alimony is requested, and the court grants it as part of the divorce decree, the payments will begin after the divorce decree is entered. In Pennsylvania, courts may award compensatory, rehabilitative or permanent alimony. No matter the category of alimony, the payments will begin after the divorce decree is finalized. When one spouse contributed to the education or training of the other spouse during the marriage, the court may award compensatory alimony to have the spouse reimbursed for her contribution. Similarly, rehabilitative alimony allows a newly divorced party the opportunity to transition from married to single life by providing income while the spouse attends school or training so she may find employment. Permanent alimony provides lifelong income to a spouse and is often awarded in cases where a party will not be able to provide for herself in the foreseeable future. Although Pennsylvania does not have strict guidelines for determining alimony, the courts will consider several factors to determine a fair and reasonable alimony award. The court will look at the income and income potential of each party, including the education, health, assets, and expected inheritances of each spouse. Further, the court will look at the length of the marriage and the standard of living enjoyed by each spouse during the marriage. Similarly, the court will consider if one party served as a homemaker during the marriage and allowed the other spouse to further his education or career development as a result.